Normally, used tires last 2-5 years if bought in adequate condition. A 2-year-old tire with no damage, patches, uneven wear, and with about 8/32” tread left, may last for good 5 years. A 4-year-old tire with 5/32” tread left, and without any significant plugs or cuts, may last a further 2 years. The lifespan of a used tire is extremely unpredictable, so any calculations are only estimates. The tire’s condition greatly depends on a number of factors. * Age: Any tire of 5 years or older has to be fully diagnosed every year and changed once deep cracks appear on its sidewalls or tread. * Treadwear: Used tires may have up to 10/32” tread available, which is more than 90% of a new tire. Used tires last to 2/32”. * Damage and Repairs: The most frequent damage need attention are cuts, holes, and cracks. Some people recommend to check tire pressure every 3,000 miles, others insist on doing it weekly. It depends on the roads you drive on and the symptoms your tires have. For example, if you notice a tire loses air slowly yet faster than the others, check the pressure more often. Proper inflation will improve your fuel efficiency by up to 3%. Nowadays, checking the inflation rate isn’t difficult, due to the Tire Pressure Monitoring System. It’s required on all vehicles manufactured after 2007. To make your used tires last longer, make sure you rotate them every 5,000-8,000 miles. Also, look at the tires thoroughly while rotating, as there may be minor damage that could become a serious issue. Remember to choose the right rotation pattern for the tires, depending on whether they are directional and same-sized. Balance the tires every 3,000-6,000 miles, depending on how fast the tread wears. With time, weight distribution around the tire changes, requiring a new balance. 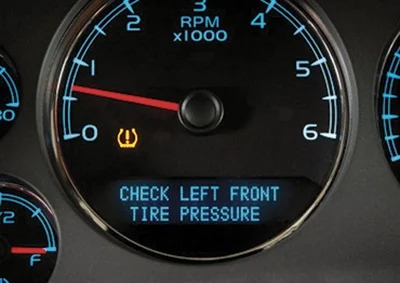 It’s important to provide balance, to avoid vehicle vibration and other connected issues. Don’t expose your tires to UV and ozone excessively. Some exposure is inevitable, but make sure you control the climate in your garage, to make the used tires last longer. Storing tires in a cool dark place, in special tire totes, will help prolong their life. When not at home, make sure you park the car in shade. Follow special techniques and rules of tire cleaning to achieve the best results. The easiest way to clean your tires is to change the water every time you wash or rinse one tire. Another rule is to dry clean them first and then apply water. Keep in mind, some cleaning substances promote tire drying, so make sure you choose the appropriate cleaners.